Curiosity Heading for Mount Sharp, during the 329th Martian day, or sol, of the rover’s work on Mars (July 9, 2013). 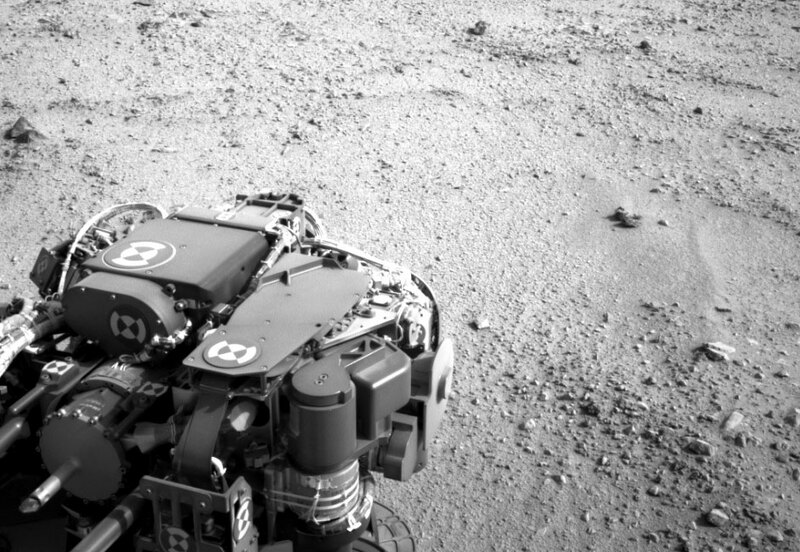 The turret of tools at the end of Curiosity’s robotic arm is in the foreground, with the rover’s rock-sampling drill in the lower left corner of the image. Image credit: NASA/JPL-Caltech. Tuesday, Jan. 7, 10:30AM – 12PM Eastern Time: NASA and the Smithsonian team up to facilitate two panel discussions on Mars robotic and human missions. Held in NASM’s Moving Beyond Earth gallery, participants will discuss the MER program and its scientific successes. Participants also will provide updates on the agency’s activities to advance a human mission to Mars in the 2030s. Panel I: Moderator – Pamela Conrad, Curiosity rover scientist, NASA’s Goddard Space Flight Center, Greenbelt, Md. Alyssa Carson, NASA Passport Winner and student from Baton Rouge, LA. Ask questions via Twitter using the hashtag #10YrsOnMars and #MER10.